The Bottom Line: NBC has the most blood on their hands this year, although the cancellation of Community and Revolution shouldn’t surprise anybody. It was amazing that Revolution made it to a second season, especially given how much of a mess it was during the first half of its freshman season. 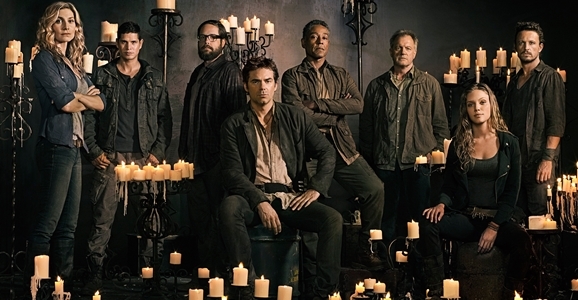 The writers, including Supernatural creator Eric Kripke and Farscape creator Rockne S. O’Bannon, did manage to improve the show quite a bit in its second year, but it wasn’t enough in the end. The nanite storyline was packed with potential that didn’t get fully explored in the way it could have, and the remainder of the season kept its focus on the brewing war hinted at in the title, but which, unfortunately, was just never particularly interesting. If I’m checking the episode synopses each week and not bothering to set the DVR if I see the words “Monroe” or “Patriots” listed prominently, your show is in bad shape. It’s sad that Community (a Hugo-nominated series, if you recall) won’t be getting its six seasons and a movie, but the fact that it lasted five is flabbergasting, so I can’t really be too mad with NBC about finally putting the series out to pasture. Hey, at least creator Dan Harmon was able to come back and take a victory lap. Believe is clear proof that having a pair of of top-tier Hollywood players involved doesn’t always guarantee a hit. Believe came with two of them: executive producer J.J. Abrams and director/ep Alfonso Cuarón (Children of Men, Gravity), who co-created the series with Mark Friedman. Unfortunately, the signs of trouble behind the scenes of Believe plagued the production from the start, with showrunner Friedman bailing on the series last summer, followed by a hiatus while they looked for a replacement, and even a tragic suicide by one of the show’s writers. Sadly, the finished product just wasn’t worth the wait. On a happier note? We’re pretty damn stoked about Constantine.